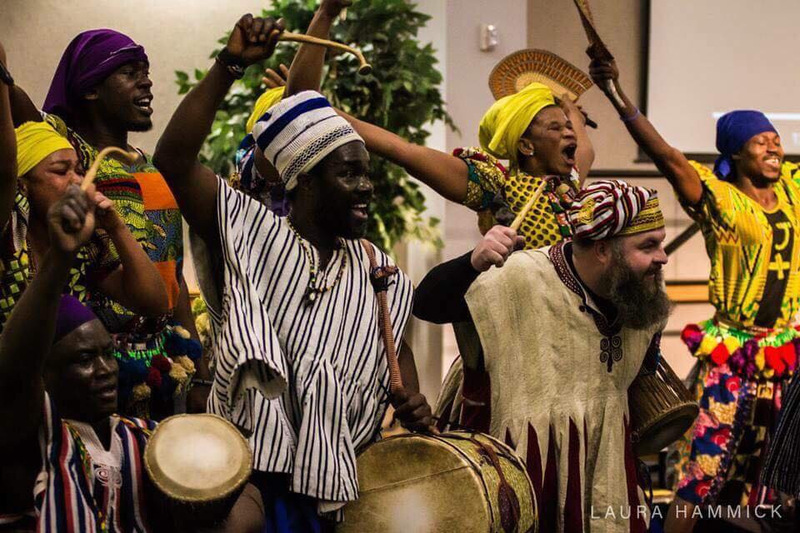 Saakumu Dance Troupe's 12th USA tour will begin in early February 2019 and go through April 2019. 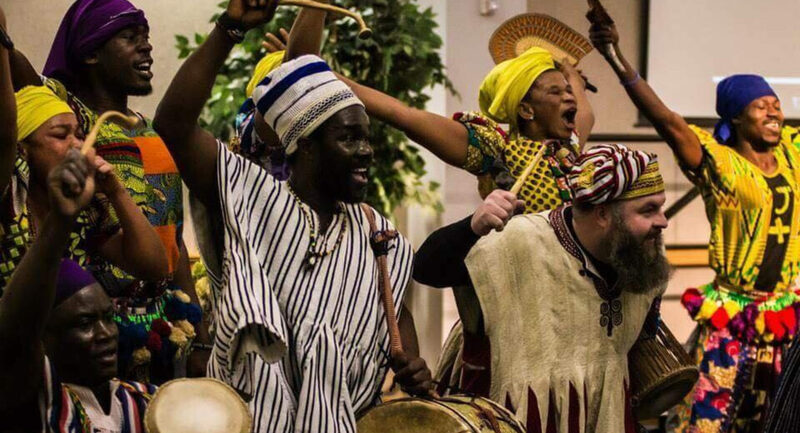 The SAAKUMU Dance Troupe of Ghana, West Africa is dedicated to introducing audiences to traditional and contemporary African dance and music. Book Saakumu today to bring this incredible cultural experience to your school, university, church, club or community event! SLYKUMU is a collaboration arranged by Griffin Brady, Master of Arts from Goddard College, founder and teacher at the Slyboots School of Music and Art in Buffalo, NY and percussionist in the jazz group, On The Sly. Ready to BOOK saakamu today? We would love to visit your schools, theaters, and community venues to share our music and culture with your students, campus communities and audiences. 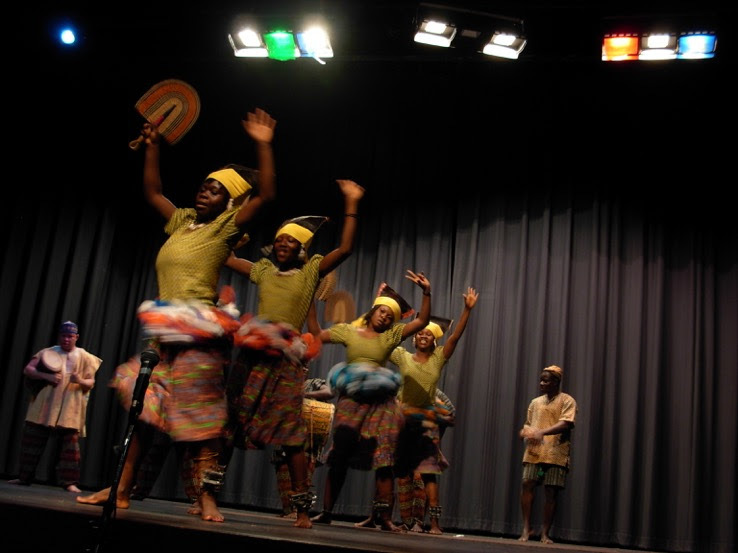 As you plan your next year's art and cultural education activities, please let us know if you would like to have Saakumu Dance Troupe on your calendar either in the fall or in the winter/spring. If you have already expressed interest in bringing us to your community, please let us know what dates you have in mind so we can begin planning our travel schedule. Bookings are made on a first-come-first-serve basis and February will be here before we know it! Please share this information with colleagues, artists, friends and family! The great tree has fallen. 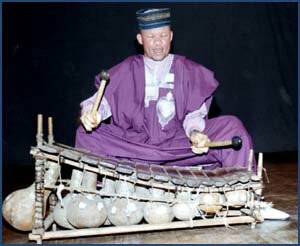 The work that Bernard Woma imparted to the world can not be understated. His influence as a performer, educator, entrepreneur, family man and ambassador have been revered in every corner of the world. In his life, he was referred to as a "national treasure of Ghana". In light of his death, we are charged with the quest to honor him and the light that he shared with the world. We are calling on Bernard Woma's Army to help us preserve his legacy and bring the SAAKUMU Dance Troupe back to continue their mission of preserving and celebrating African culture and promoting positive social change through cultural arts education and performance. Most of us still “owe 5000”— so please consider supporting this important cause.